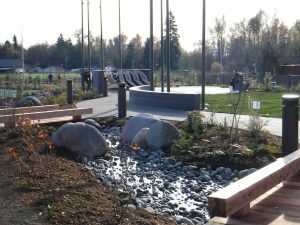 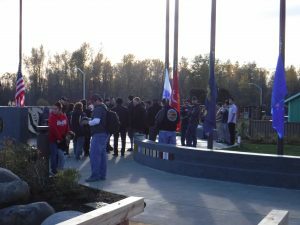 On Sunday, November 11, 2018 tribal members and the community gathered to participate in the opening of the Muckleshoot Indian Tribe Veterans Memorial Plaza and Park. 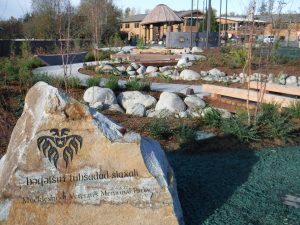 To officially open the park to the public, elders raised the flags while tribal members beat drums. 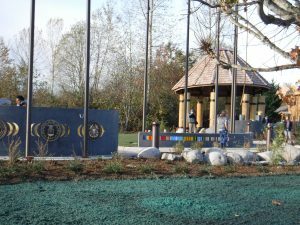 The park is beautiful as it is a tranquil place for people to come, remember, and honor lost heroes. 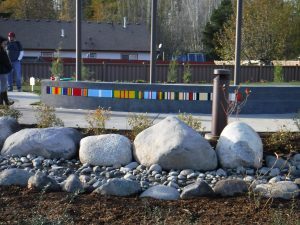 A small stream and path wind through the park to represent the journey veterans took, travelling from their native lands to faraway places to defend and protect the American people. 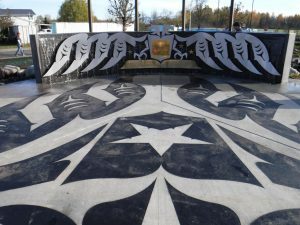 Long Painting took on this project knowing it would test our ability in the art of design. 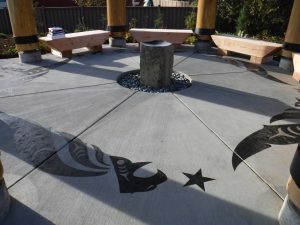 It entailed the crew needing to be creative and delicate while sandblasting tribal designs into the pathway. 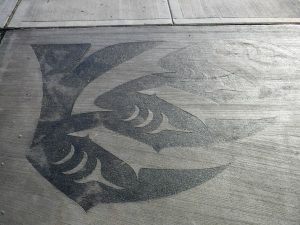 To accentuate the designs the crew applied a special stain that really brings the design to another level. 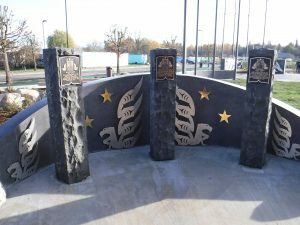 Long Painting Company is honored to have been able to play a part in this memorable project.